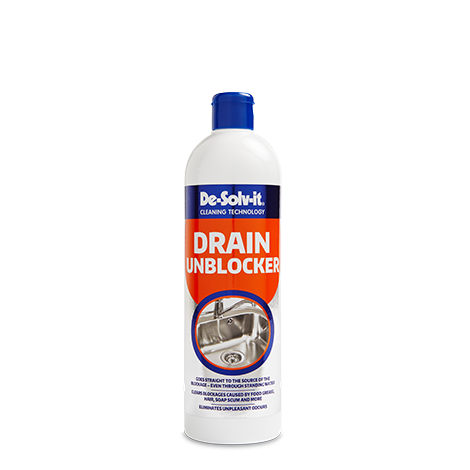 De‐Solv‐it® Drain Unblocker has been specifically formulated to tackle the toughest blockages. The solution goes straight to the source of the blockage, even through standing water and starts to work immediately. 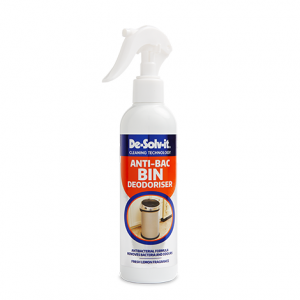 The heavy duty formula eliminates unpleasant odours associated with blocked and slow running drains and removes the harmful bacteria that breed in the blockage. 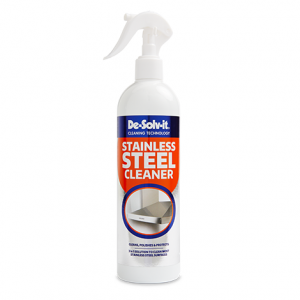 Recommended for use in sinks, showers and wash basins. Avoid contact with chrome, gold or brass plated fittings, worn or damaged enamel and chrome. Rinse the waste area with water after application. Do not use in sinks fitted with waste disposal units. Allow any standing water to drain away. Carefully pour approximately half the bottle into the blocked drain. If any of the product splashes onto the surrounding waste area, rinse off thoroughly with water. 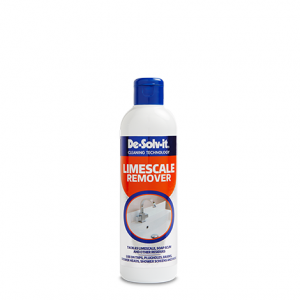 Leave the product to work for 15 minutes (severe blockages may require up to 30 minutes). Flush with hot or cold water until the drain runs free.